​To preserve and promote Irish culture. Every year since it's founding the club has organized and produced the annual St. Patrick's Day Parade. The parade covers a distance of not quite two miles, beginning in the borough of Stroudsburg and ending in East Stroudsburg. The parade is funded through various fund raising efforts by the Club, and through the generosity of our Parade and Band Sponsors (see sponsorship info). The event has evolved into one of the premier parades in Pennsylvania and the surrounding area. 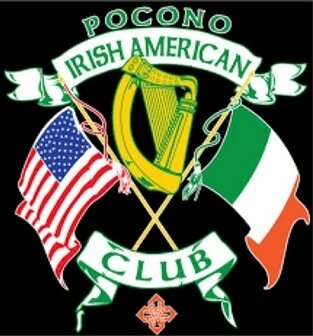 The Pocono Irish-American Club was founded in 1978 to preserve and promote Irish culture. Meetings are held at 11:30 am on the first Sunday of every month at Siamsa located at 636 Main Street, Stroudsburg, PA.